Watches today are bigger than they were decades ago, and this doesn’t necessarily mean the watch case diameter, but the extent of its thickness or thinness. 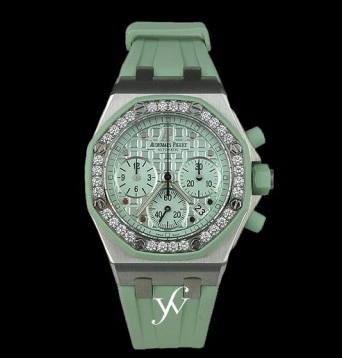 Usually, these larger watches would be seen on males rather females. However, women have been sporting big faced watches more and more. Instead of feminine timepieces, they opt for flashier and larger men’s watches. This trend has turned out to be more than just a fad, and perhaps you want to join the party. Well, here are some tips for wearing big-faced watches. There are only a few things that separate a men’s watch from those of a woman’s. These things include clean lines, subtle designs, and occasionally rhinestones. However, since the oversized men’s watch on female’s wrist has become a classic, the men’s watch tends to look more sensational. What you wear with these watches, though, is just as important as when you wear them. For example, some watches would be better with clean and simple attire; maybe a few thin, delicate bracelets to remind you that you are female. Though some brands make fantastic women’s watches, there are some companies whose male watches on females add to a streamlined appeal. Some watches can also be accented with different gem stones, especially once there are bracelets worn on the same wrist. There are also men’s watches that can be passed as big-faced women’s watches. The construction will look solid and sturdy, but it would be attractive and eye-catching. Many men felt less masculine when women started wearing their watches. They complained about women wearing watches that were bigger than the ones they were wearing. However, women felt even more feminine while wearing them. It was like they were stating that they were woman enough to be wearing the big-faced watches. On the other hand, big doesn’t always mean fashionable. Some of the big faced watches are simply tacky. There are also things that you should never wear with them. Avoid things like rubber bracelets, too many bracelets, spiked leather cuffs, two watches on one wrist, and jewel-encrusted watches that are as big as dessert plates. While men’s watches for women have become the latest trend, be careful to follow the dos and don’ts that accompany them. When shopping for watches, visit Finest Watches to find one you deem fit.